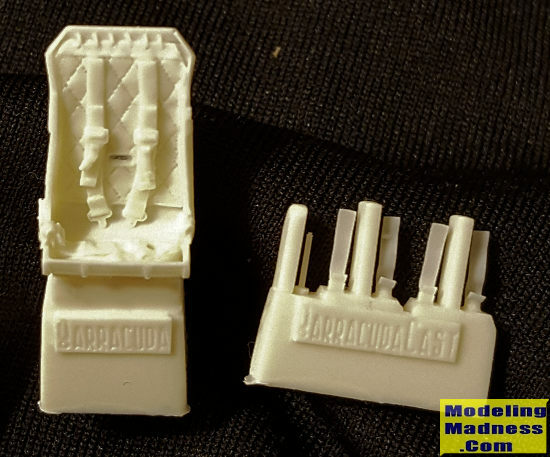 BarracudaCast offers the first of several goodies for the recent Eduard 1/48 Hawker Tempest. This seat is designed for the Eduard kit, but can easily fit others out there, including the older Eduard releases. The set consists of the seat with belts molded in place along with additional straps and the seat adjustment handle. Include with the set are complete instructions, including photos, so you will have no problems using this. As with all BarracudaCast sets, the molding on these is world class and well worth picking up.